Most of my lights are on dimmers, but there are a few — such as the big fluorescent in the kitchen — that a dimmer won’t work for. In those places, I went with these switches, and I’ve yet to be disappointed. They work very, very well. Like all of the switches I’ve reviewed, installation was relatively simple. You may have to break off the heat sink tabs on the side if you’re installing with other switches in a multi-gang box, but other than that it’s fairly straightforward. 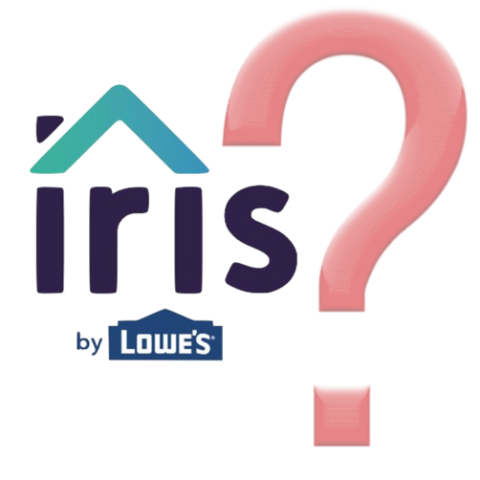 Even before including it in your Z-Wave network, you’ll have manual control of the load as soon as it’s in. Control is on/off only, as one would expect, but there are also a number of other features that makes this an excellent switch. 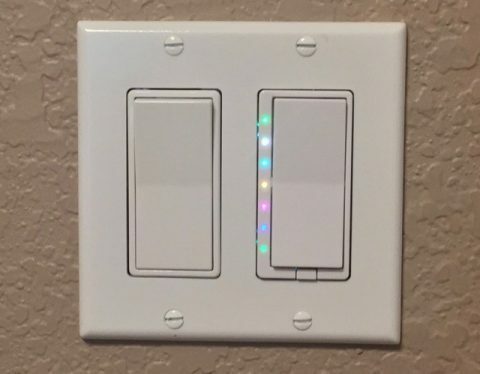 The biggest one is the multi-tap support for scene control; I have one of these at my back door, and double-tap is intercepted by my controller to cause my pool light to turn on. This avoids a walk out to the shed, which is nice. I’ve not yet figured out all the things i can do with the scene control functionality, but I’m working on it! The only problem I’ve had is that openHAB 2 does not yet recognize these correctly (at least in the 2.0.0 release version). They’ll include, and they’ll work, but trying to name them (or do other things related to configuration) will fail. It’s an odd bug in openHAB that I hope will be resolved in fairly short order. 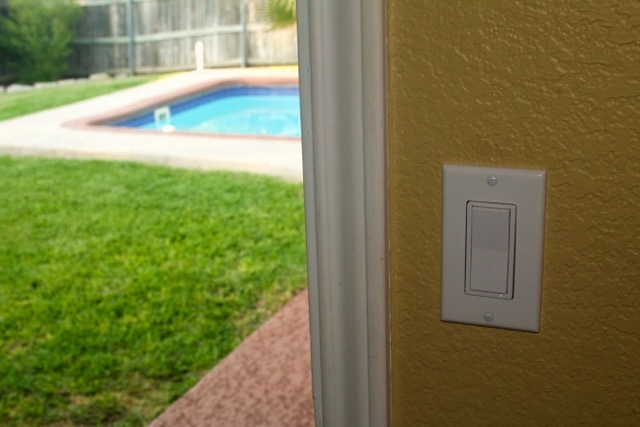 We’ll see — but that’s openHAB’s problem, not the switch’s. I at least get basic control, and that’s what matters. 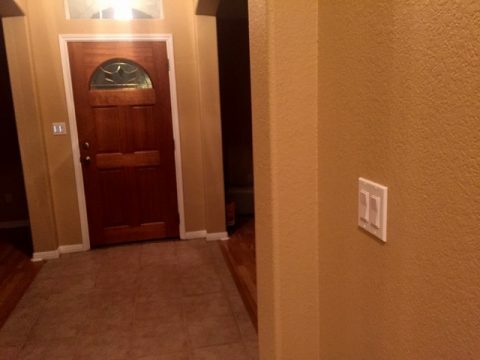 All in all, this is an excellent choice if you need a Z-Wave capable on/off switch. Extended scene control functions are extremely helpful. Does not work quite right with the current release of openHAB. 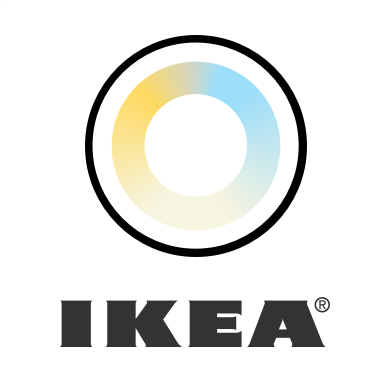 Wink hub does not support scene controller functionality. Has a mechanical relay, so there’s an audible click when the load switches.